As you’d expect, the Picnic Time Zuma Insulated Cooler Backpack works perfectly for picnics. 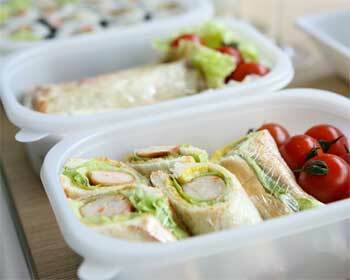 In addition, you can use it for lunches or day trips as well. Although the backpack itself looks big, only half of it is actually insulated. 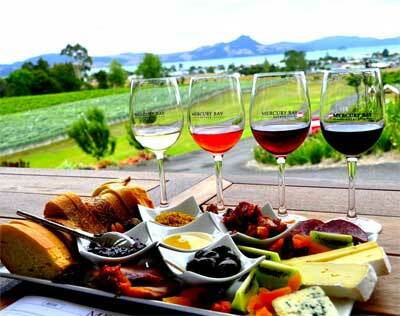 The other half serves as additional storage space for other gear, or even food that does not need to be refrigerated. That said, the insulation portion can actually hold up to 13 twelve-ounce cans. 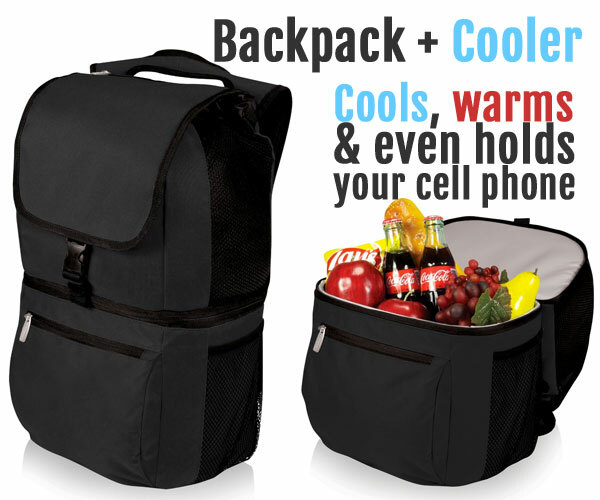 Do you need a carrier that has the ability to keep food cool but can also function as a carryall, handbag or satchel? The Zuma provides a convenient solution. In fact, you can use it as a plain old backpack, whether you need to chill items or not. On top of that, the ThermoGuard insulation can act as a warmer, keeping food warm for hours! Consequently, this feature turns this backpack into a multi-use year-round pack. Use it for lunches at work, a knapsack for school, to carry on lang day trips and more. In addition to providing more versatility, I think that the segmented compartments of this pack make it much more functional as well. This design makes items easier to find because you don’t have to search through one large bag. Furthermore, it means that articles are less likely to get squished because there are less items per chamber. The photo doesn’t easily show that the upper compartment has mesh sides. This allows the interior items to breath. Use it for towels, clothing or swimsuits if you are heading to the beach, for example. If convenience, functionality and versatility wasn’t enough, the Zuma insulated backpack has several built-in comfort features. It only weighs 1.5 lbs. Moreover, the adjustable shoulder straps include padding and a breathable mesh backing. And lastly, the insulated liner of the cooler has heat-sealed construction which makes it water resistant to prevent leaking. I definitely appreciate the cell phone pocket located on the shoulder strap. You don’t have to carry your phone in your pocket, and you can always have it close by. 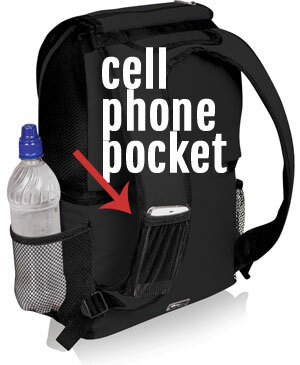 On top of that, you can even have your phone on speaker and talk hand-free while you hike or walk around. This is a major selling point for this backpack. Compared to other coolers or cooler backpacks, the Picnic Time Zuma has a unique feature. 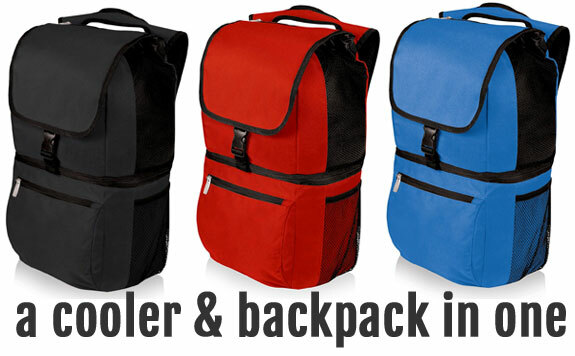 Think of it as a backpack with an insulated cooler pocket. Essentially, you can use the bag to carry school supplies, work materials or other gadgets in the upper half of the pack. Then, you can use the bottom compartment like an insulated lunch bag (without having to carry 2 separate bags!). If you want a multi-functional backpack that you can take to work or school on a daily basis, this may be the perfect pack for you. Plus, smaller cooler often work more efficiently to cool (or warm) a small amount of items (vs a large compartment cooling or warming just a few items). In addition, the best picnic backpacks usually offer a fair amount of dry storage space on top of the insulated section. I mean, we usually need to carry dishes, glasses, silverware, napkins and other snacks, right? Having said all that, the lower insulated cooler pocket may just not supply enough space for your needs. For example, if you want to carry a case of beer to a tailgater, you may be better off going with the Ozark Trail Cooler Backpack. Alternatively, this insulated soft cooler can comfortably hold 12-ounce 24 cans. I’ve seen the Picnic Time at Walmart, Target, Amazon and eBay priced at about $30-40. However, Amazon seems to carry the lowest price.